What are the popular places to visit in Delaware? 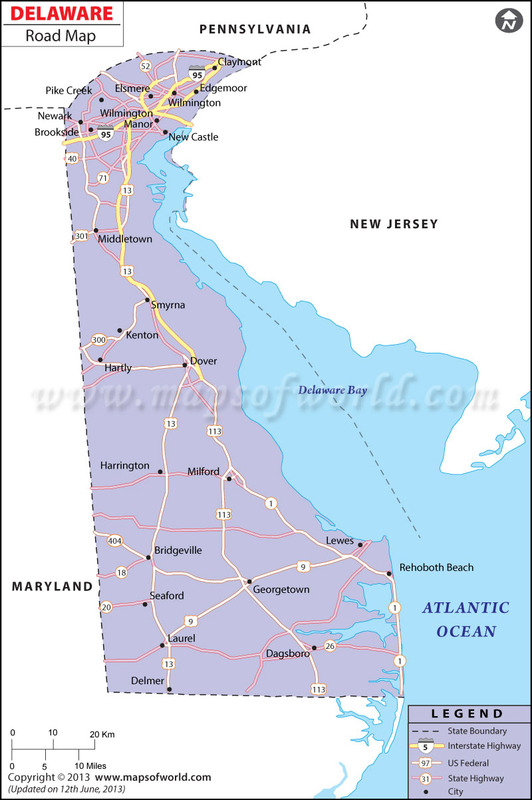 The Delaware Road Map shows the state and national highways of the state of Delaware. All of Delaware's important cities are easily accessible by a well-coordinated network of roads. The northern part of the state is connected to the southern end by Interstate 95. Interstates 495 and 295 also run through the state, making travel within the state easy and convenient. Of Delaware's 59 state highways, Delaware route 1 is the longest, stretching over 100 miles. Delaware route 202 is the shortest, at 1.01 miles. Other notable Delaware routes include Delaware route 1A, 1B, 1D, 1 Business, 2, 5 Alternate, 9A, 10 Alternate, 404 Business, and 30 Alternate. According to a 2000 survey, Delaware has 5779 miles of total roadways, including public roads, state and national highways, and streets. The foremost modernized highway of Delaware, connecting the capital city of Wilmington to the southern part of the state, was constructed between the years of 1911 and 1924.